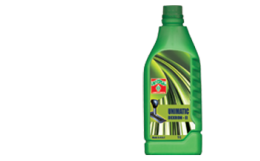 ZINOL UNIMATIC -D II is Automatic Transmission fluid formulated from high quality solvent refined mineral base oils and additive package to provide anti-wear, corrosion resistant and thermal stability. The additive package ensures consistent and smooth shifts in all driving conditions. It serves as power transmission fluid in the torque convertor, hydraulic fluid in the control system as a lubricant for bearing and gears and as a friction controlling medium for bands and clutches. It gives effective characteristic for smooth shifting. It is recommended for power transmissions and hydraulic systems of passenger cars and truck automatic transmissions, power shift in off-road construction equipments and power steering which require Dexron – II quality product. Also recommended for power steering units. Reduced foaming and fluid loss. Outstanding wear protection of automatic transmission systems.